The first half of 2018 has FLOWN by and we have been busier than ever at Luxe Lowcountry Properties. Courtesy of Charter One Realty, our phenomenal brokerage, you can view all of the statistics here on real estate activity in the Lowcountry. Curious about how your neighborhood performed in the Spring and Summer markets? 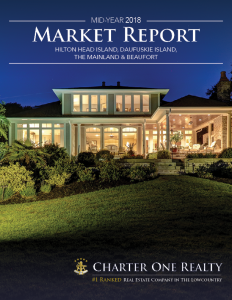 From Hilton Head and Daufuskie Island to Beaufort and beyond, we reflect and report on the state of the real estate market in our latest Mid-Year Market Report.